Need some motivation? Keep this awesome sign around...it'll do the trick, for you or a co-worker. This is a handmade print on wood that's painted and one-of-kind. 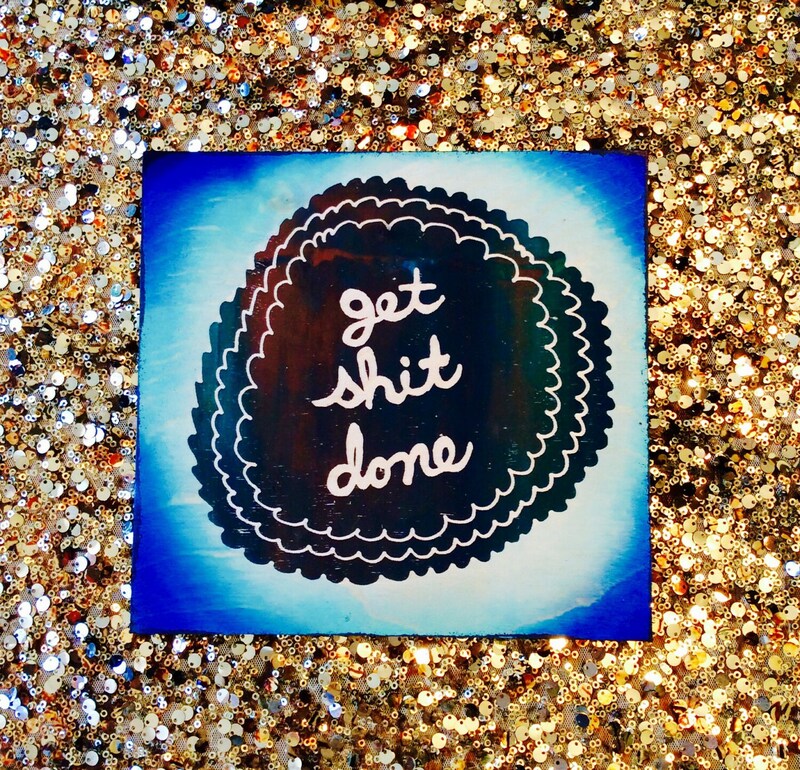 It's approximately 8"x8" and comes with a hanger to help you get motivated to put it on your wall.